The purpose of the course is to develop competency in applying causal inference methodology to observational data. The offering addresses a recognized need for a graduate-level course that links concepts and practical skills for making causal inference in epidemiology, health services research, and studies in occupational and environmental health. Students will be able to produce causal diagrams for thesis projects, to research questions, to identify variables for adjustment, to detail the plan of analysis, and to attempt to estimate causal effects with data from their own projects. This 600-level course builds on the knowledge and skills acquired from SPPH500, SPPH503, and SPPH506. 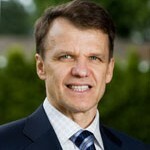 Professor Boris Sobolev is a Senior Scientist and Leader of Health Services and Outcomes Research Program at the Center for Clinical Epidemiology and Evaluation. Prof. Sobolev held the Canada Research Chair in Statistics and Modeling of the Health Care System from 2003-2013. Since 2011 he has served as Editor-in-Chief, Handbook of Health Services Research, a major reference work commissioned by Springer.